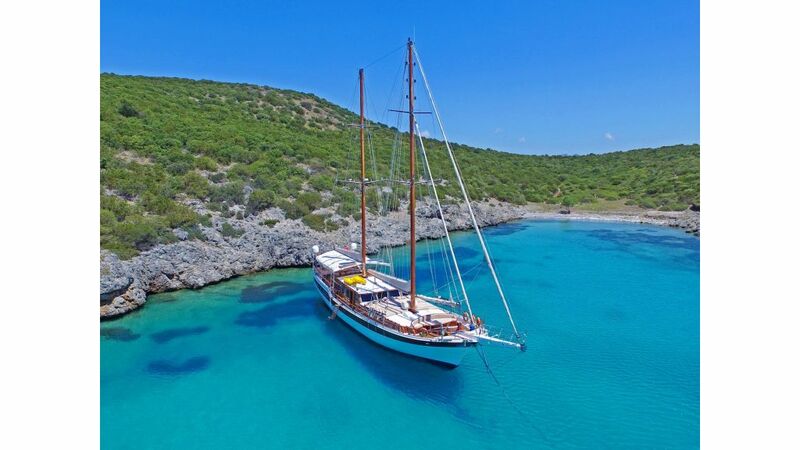 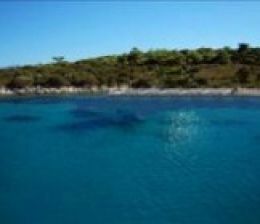 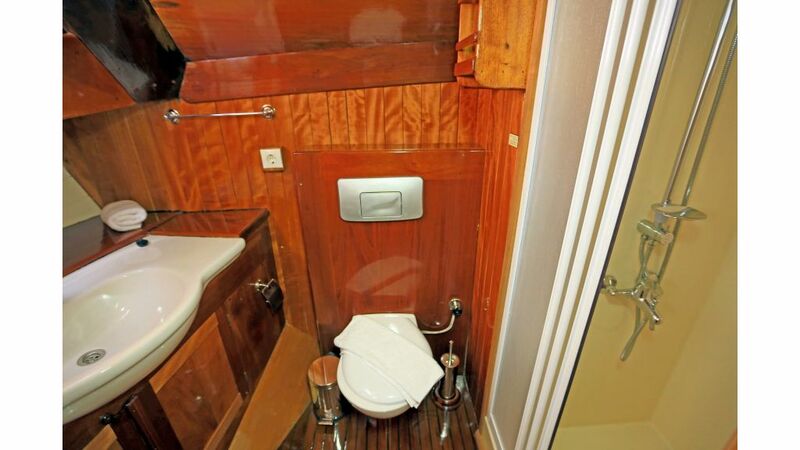 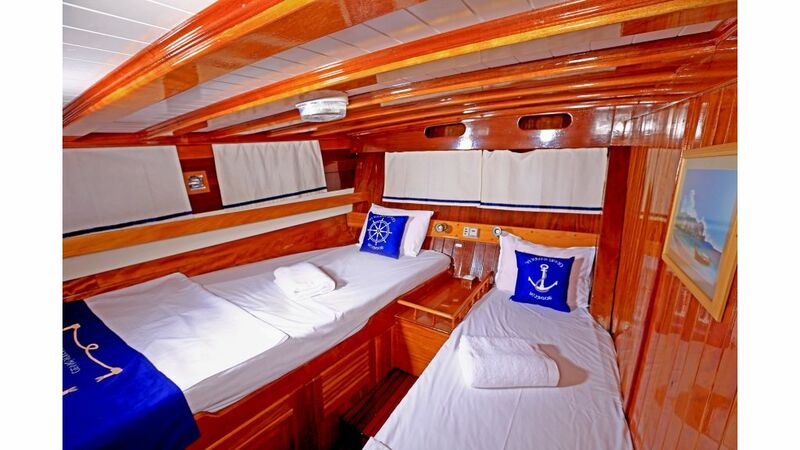 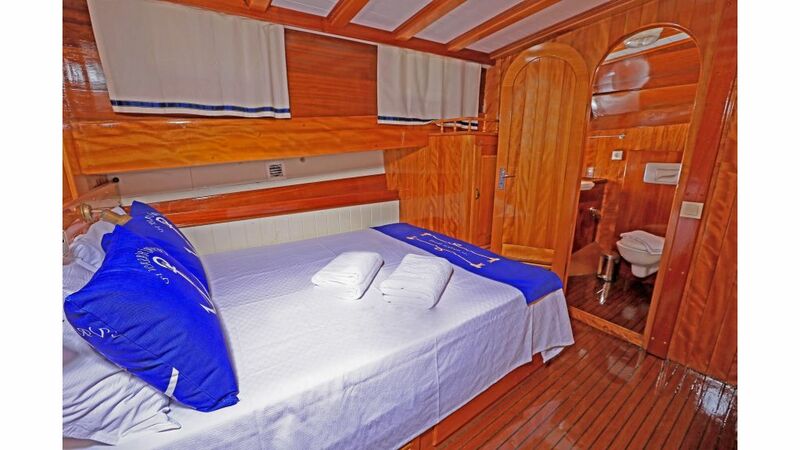 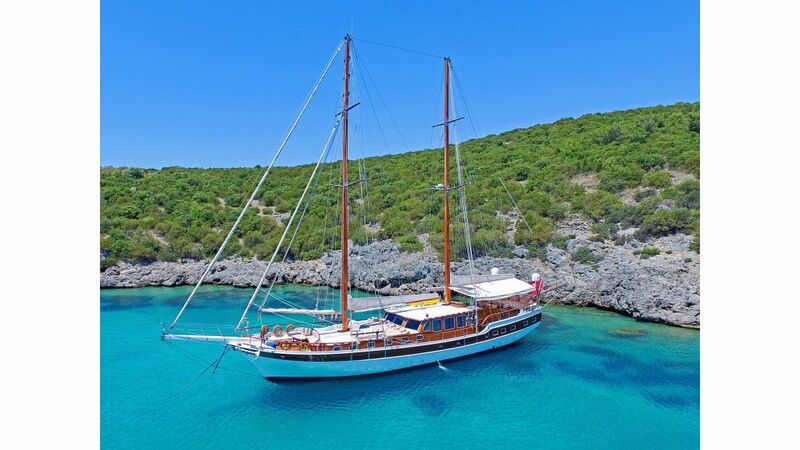 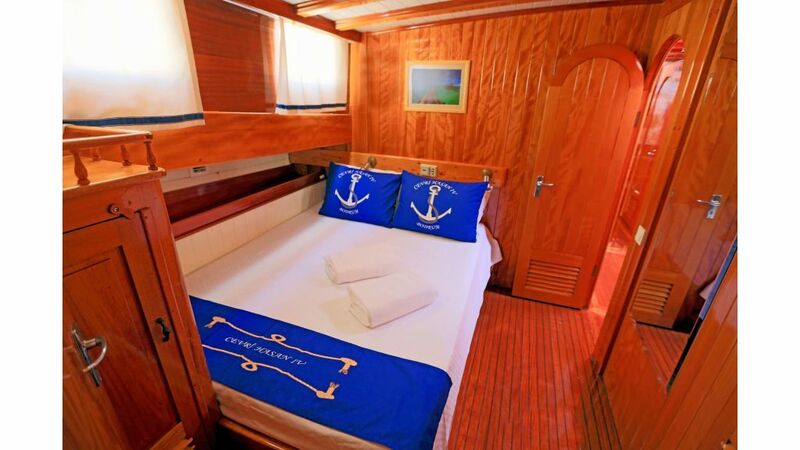 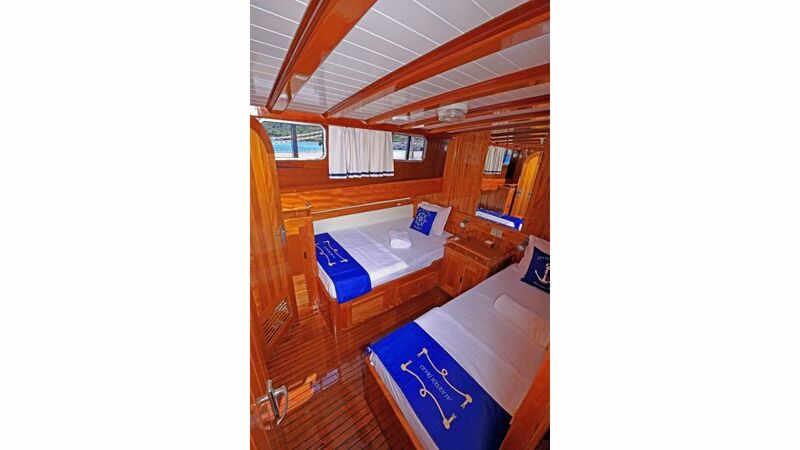 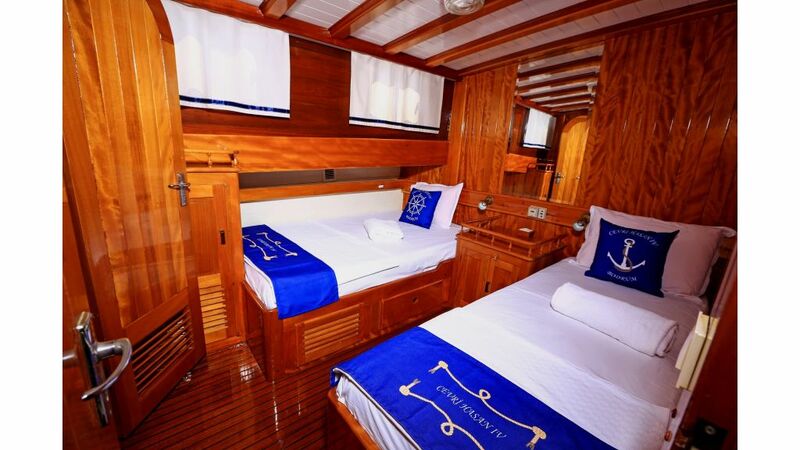 Cevri Hasan 4 / 6 cabins 12 Guest capacity luxurye charter gulet, has three experienced crew to accommodate all your needs. 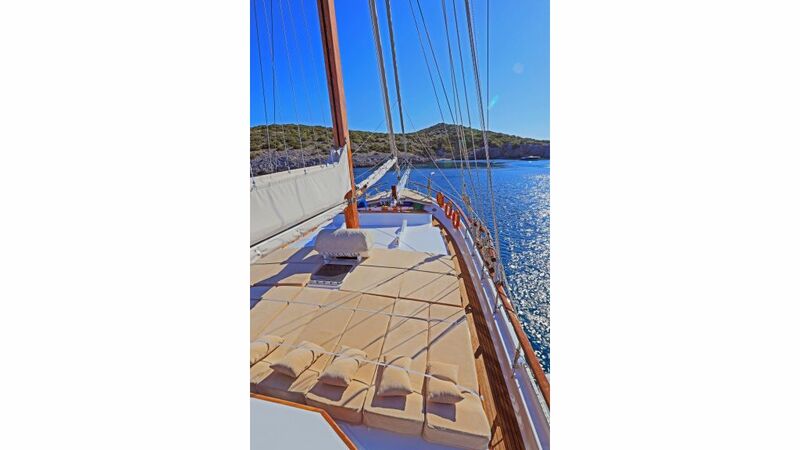 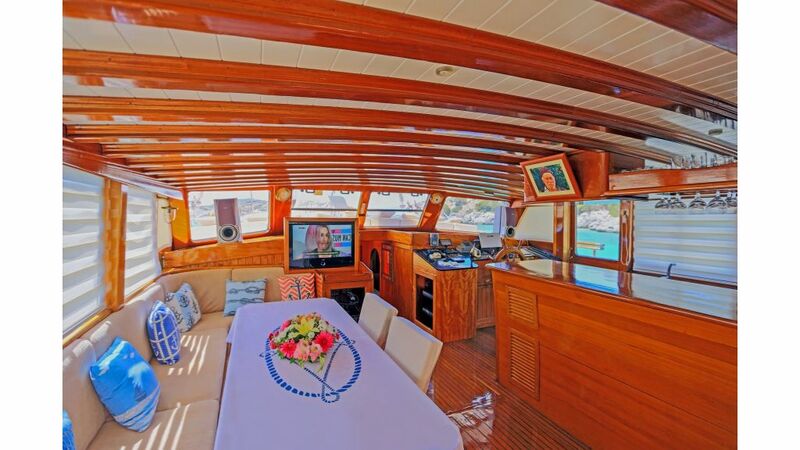 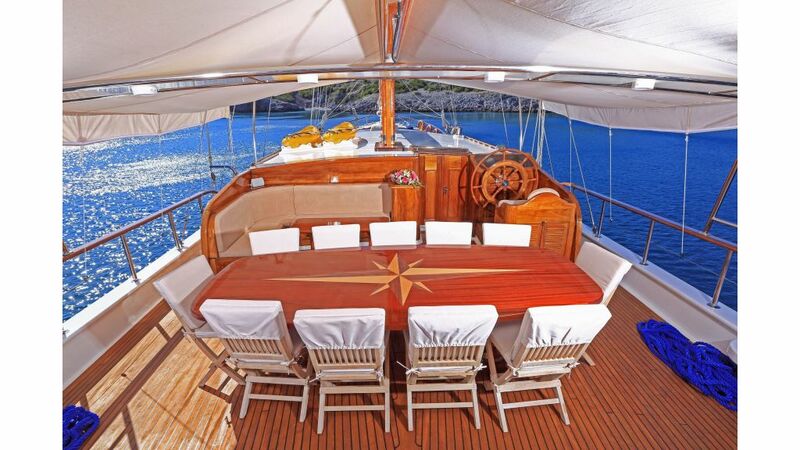 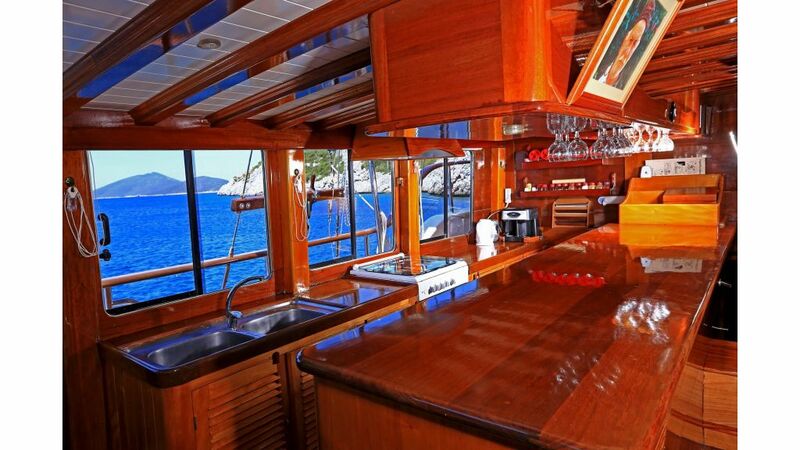 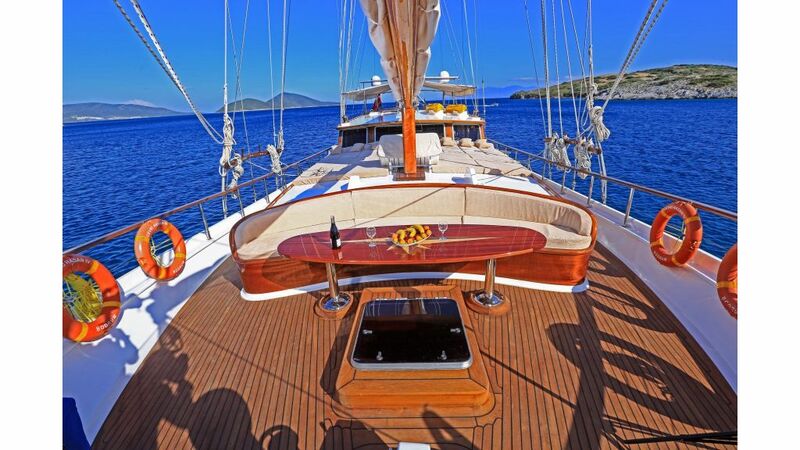 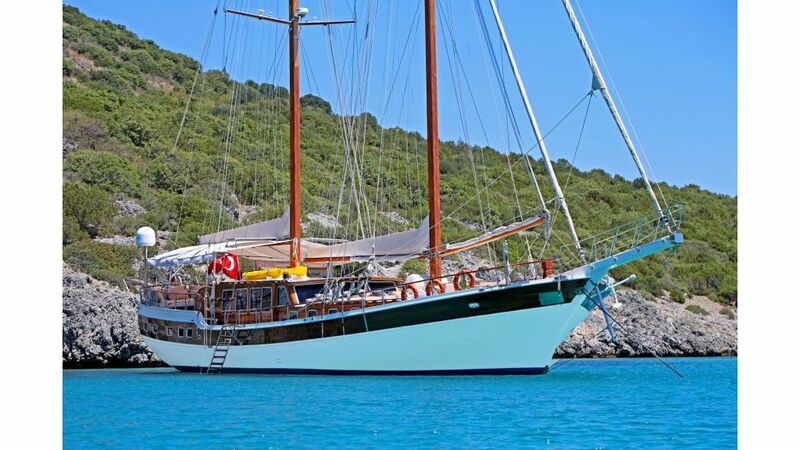 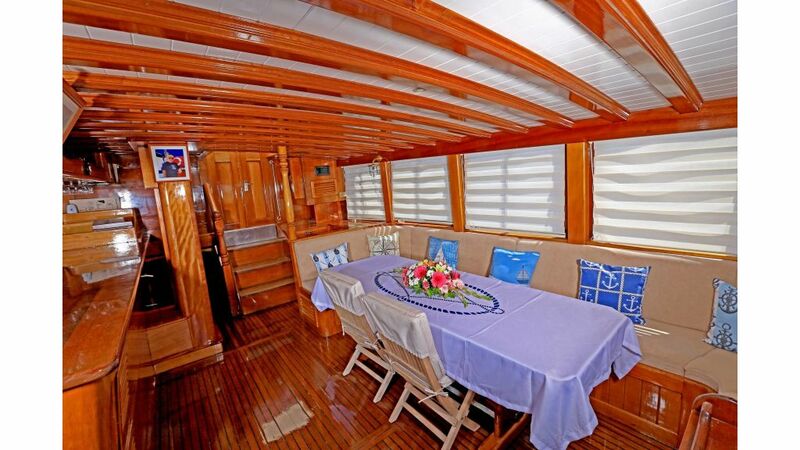 a traditional gulet design with a large beam provides spacious and luxurious comfort with a vast amount of deck space. 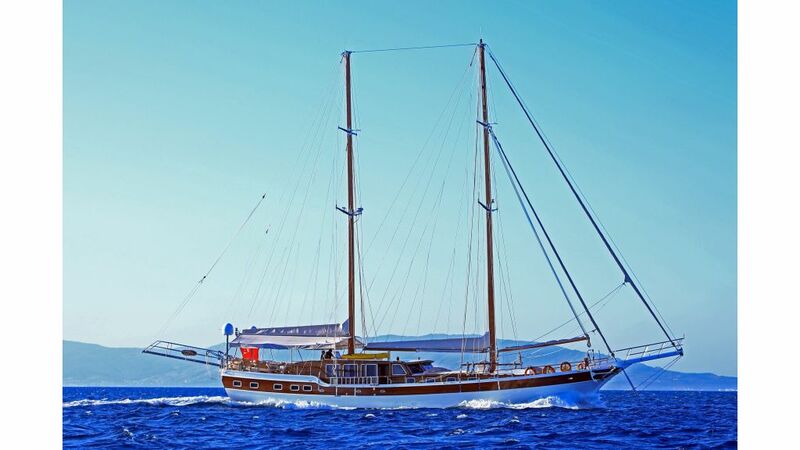 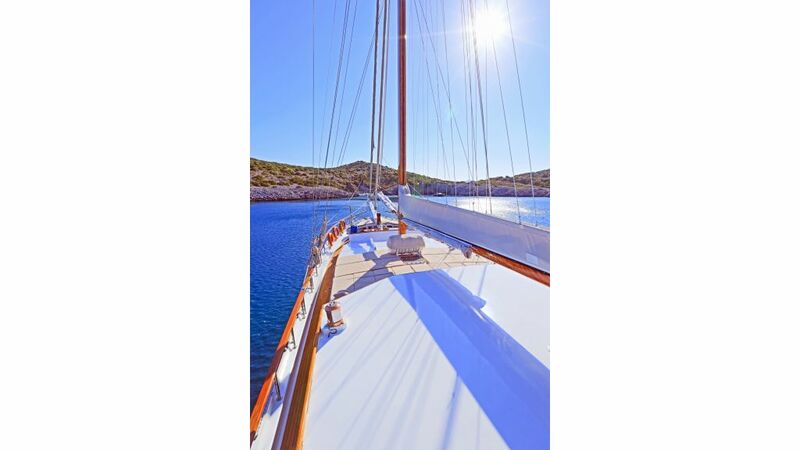 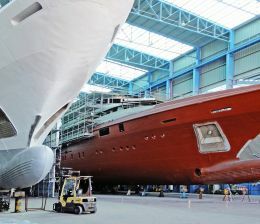 With a cruising speed of 10 – 12 knots and range of 720 nautical miles she can cruise the blue waters of the Aegean with ease. 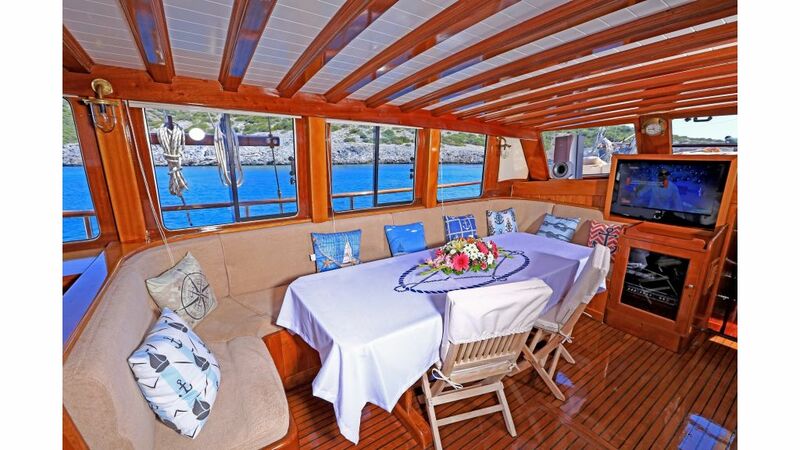 The general layout of Cevri Hasan 4 can be divided in to 2 sections; Lower Deck where the galley and accommodations are situated, Main deck where the dining, seating, and sunbathing areas are situated, and addition to a traditional gullet but provides a great spot for enjoying drinks and romantic dinners in the evenings with a 360 degree panoramic view of the natural surroundings.